My name is Paul Haines, I have been painting for approximately 30 years. I have been based in the Adelaide Hills for 14 years now. We have a great reputation with our existing customers. We have attention for detail and aim to make your painting experience as easy as possible. 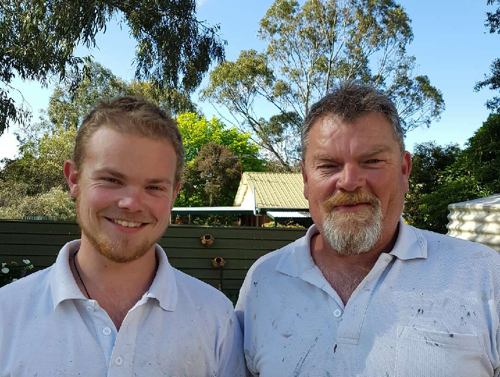 As a small Adelaide Hills based painting service we are friendly and reliable with competitive prices. Our service includes residential and commercial, this includes roof spraying, interior, exterior, minor repairs and free quotes. We consider ourselves very respectful of our customers properties and are fully insured. So if your thinking of a new paint job give us a call.